Smuggler’s Cove welcomes reservations for your special occasion luncheon, dinner, holiday party, company lunch, birthday party or cocktail party in our lovely appointed private dining rooms offering elegant privacy for your next event! 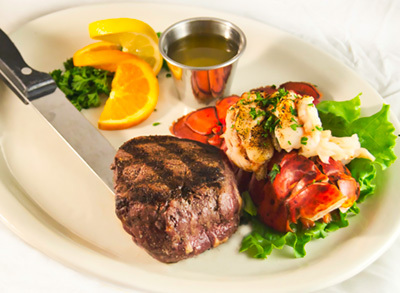 We are proud to feature a fine selection of diverse menu options that can be custom tailored to suit your preference. If you have specific menu items that you want included for your party guests, or a custom event menu developed, please let us know and we will quote you a price specific to your selections. We do request preliminary selections be decided 10 days in advance and the guaranteed count is required 48 hours prior to your affair. We also require a deposit per person when booking the affair. You will be required to pay the 48-hour confirmation count upon completion of your event. This deposit is $3.00 per person for lunch and $5.00 per person for dinner. Our dedicated team of service staff and management will do our utmost to ensure a most memorable occasion for you and your invited guests. Smuggler’s Cove private dining accommodations can be made for groups of 15 to 75 individuals. 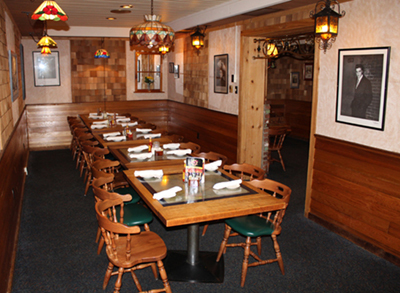 We look forward to hosting your next gathering at our Tannersville, PA location! Call us today to discuss your upcoming event and how we can help facilitate an enjoyable time for all. We can be reached by phone at 570-629-2277 or email us at smugcove@ptd.net.